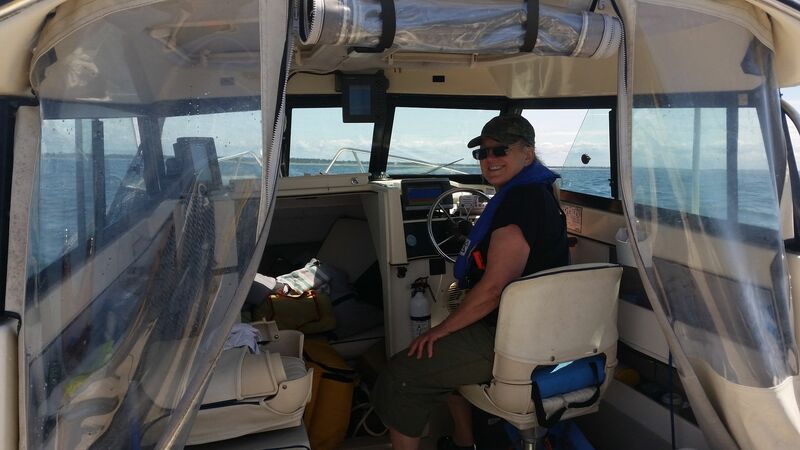 Went out of Westport Wednesday on buddy's Grady White 27 Sailfish- Nice boat with twin engines that cruises at 28 knots, 4k RPM. 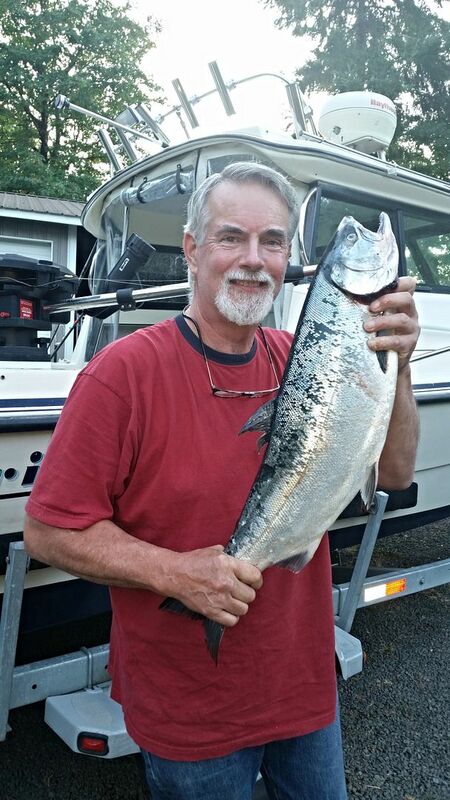 Had ice and bait aboard but started W of Grays Harbor about 30 miles where the fleet was chasing Salmon. 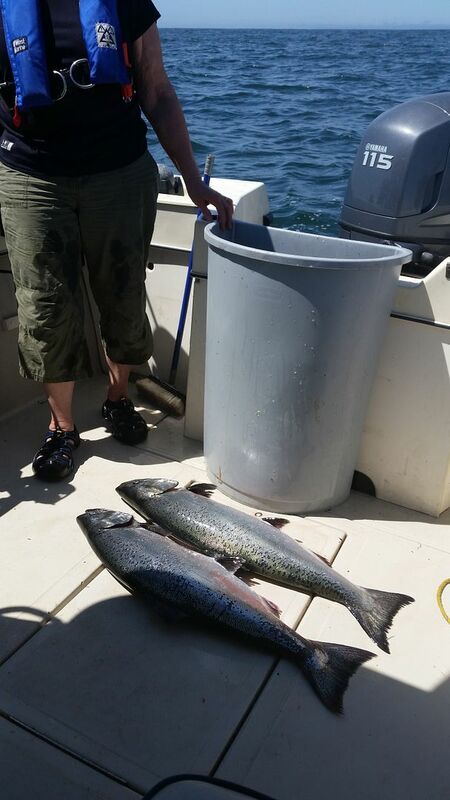 Mike and Mike caught 13# keeper Chinook but I kept catching wild fish and a rock bass- Yep, we were fishing 220 down in 300' of water. About 10 we went SW to 40 40 area, found tuna and lots of dolphins in several spots but couldn't get the Albies to bite. 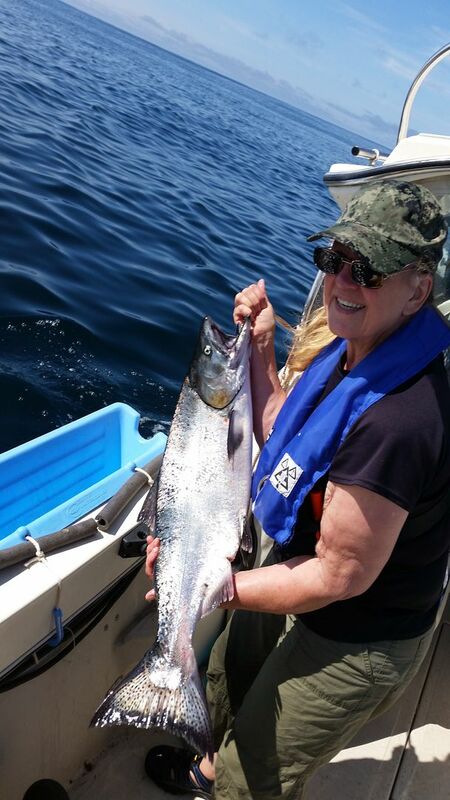 I had looked at the blue water chloro and saw an area NW of the salmon grid- should have tried that another GW caught a bunch of Tuna up there. 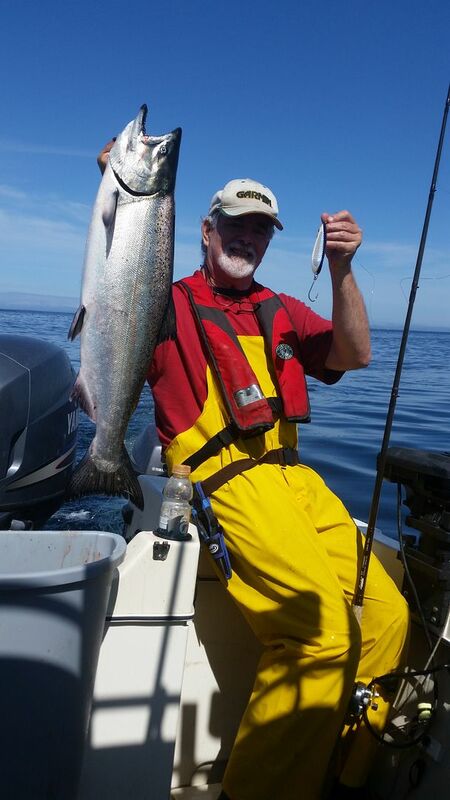 About 3 after catching nothing but blue shark we went back to the salmon grid and found only 3 boats in the area but the salmon still hungry. In an hour we caught about 12 fish but wilds prevailed. One 8# silver and finally I got a keeper- 19# after bleeding. Back to the dock about 530 and a long drive home. We had planned to take the Arima Sea Ranger 19 out of Westport Saturday but the wind and waves forecasts caused me to postpone until Monday. Being retired and flexible is a good thing. Rather than start at first light we got to the dock at 8 and were motoring across the Gray's Harbor bar at 830 heading out about 30 miles to 600' deep water where I was last Wednesday. 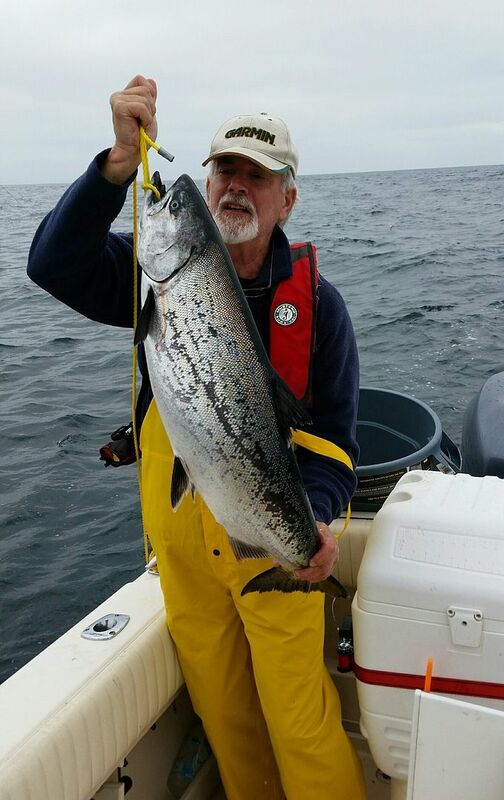 We radio linked with Freedom a large Trophy that was heading the same way- I always like to have somebody who knows who we are to help keep track - just a safer way to boat. We found 30 other boats already there and set up the downriggers with flashers and spoons - Green Dragon and a 4" cop car wag tail for Bandaid and custom 5" for my 'purple haze' Q Cove. 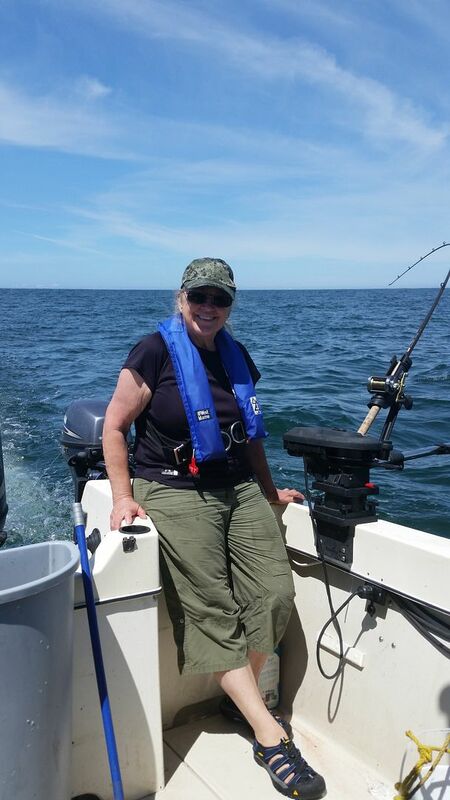 The swell was 3' and few wind waves and the sun was making for a nice day on the water. At 1030 we had Bandaid's 15 # Chinook on board. After an hour on station I checked my line and found a cookie cutter sized King that was neatly netted. 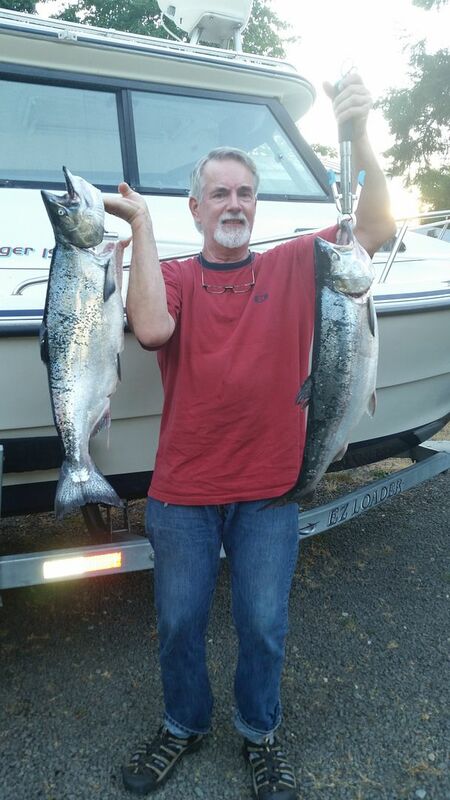 We headed into shallower water in search of Coho and ended up in front of the Casino in 80' of water when my flasher with a 2" pink hootchie took off with a nice hatchery silver firmly attached. Mmmmm, grilled salmon with a little oil and some lemon pepper. Nice going, you're making me hungry. 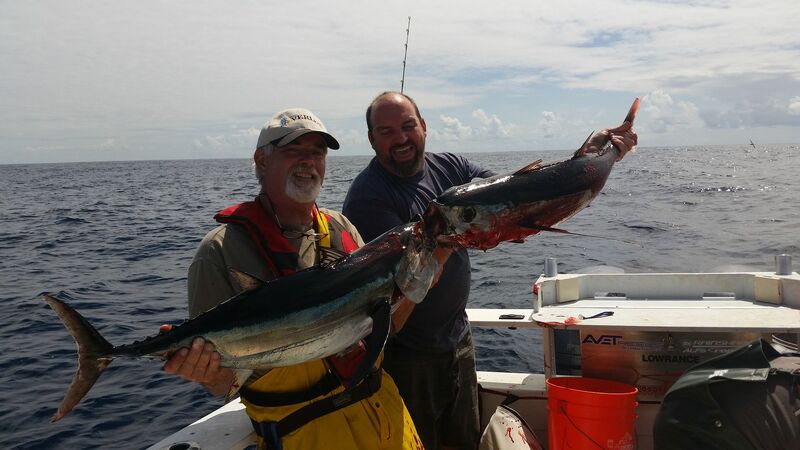 Found the Albacore Tuna about 40 miles out Saturday. We've been vacuum sealing and saved a couple pieces for the BBQ. Lemon pepper and a balsamic glaze for the plate.